* Visit our equipment availability service to see what is available for checkout in real-time. In order to check out items from the equipment room you must be a current CCU student or recent graduate, fill out an equipment liability form, and present a valid CCU ID upon checkout. Please call 843-349-2400 to reach the circulation desk during operating hours. CCU students, faculty and staff must present their CINO card for use as a library card. HGTC students, faculty and staff must present their HGTC picture ID and complete a Kimbel Library Patron Card application to receive a Kimbel Library card. All other patrons must present their SC State issued driver's license or state ID card (with current, local address) and complete a Kimbel Library Patron Card application to receive a Kimbel Library card. Alumni Association & OLLI members must present their membership cards, state issued driver's license or ID and complete a Kimbel Library Patron Card application to receive a Kimbel Library card. CCU students (including Scholars Academy students) – Students registered for the current semester have 3 week checkout of an unlimited amount of main stack and media items as well as use of PASCAL, ILL and equipment checkout and off-campus use of online library databases. CCU Faculty, Graduate Students and Library Employees - Semester long checkout of an unlimited amount of main stack and media items as well as use of PASCAL and ILL and off-campus use of online library databases. CCU Staff, Emeritus Faculty & Scholars Academy Instructors - 3 week checkout of unlimited amount of main stack and media items as well as use of PASCAL and ILL and off-campus use of online library databases. CCU Recent Graduate (1 year following graduation) – 3 week checkout of unlimited main stacks items. HGTC Students, Faculty & Staff – unlimited checkout of main stack and media items. CCU Retired Faculty & Staff, CCU Boards, CCU Alumni Association Members & Olli Members – 3 week checkout of 10 main stack and media items. Teachers (including home school) in Horry & Georgetown counties and Employees of businesses located on CCU's campus (ARAMARK, Follett, etc.) – 3 week checkout of 10 main stack and media items. Community Patrons – 3 week checkout of 2 main stack and media items. All patrons are responsible for returning or renewing library materials on or before the due date. All users, except CCU faculty and staff, are charged overdue fines for late material. A fine of more than $5.00 blocks all borrowing and renewal privileges. Registration and/or transcript holds may result if a borrower's fines are not resolved. Most items accrue a late fee of $0.25 per item per day. Reserve materials accrue fines at the rate of $0.50 per day for print items and $5.00 for media items. All library equipment accrues fines at the rate of $5.00 per day. Courtesy notices are sent to patrons with library materials via email. Failure to receive courtesy notices in no way relieves the borrower of his/her obligation to return items by the date due or pay any accrued fines. Patrons can access their account to verify due dates and account balances using the My Library application. Patrons can access their library account by using the My Library application. View items you have checked out, renew items, and view fines you owe. To log in, find the My Library account page at Kimbel Library's home page, or click the following link: https://ccu.iii.com/patroninfo/. 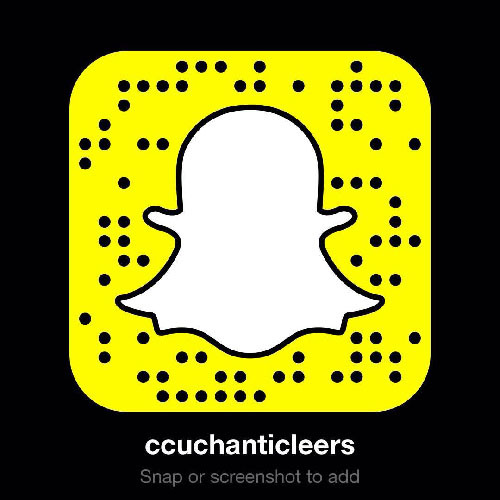 Enter your name and CCU ID number or patron barcode number. The home screen of your My Library account will allow you to view the list of items you have checked out. Select items that you wish to renew by choosing the tick box next to each item. Then click the Renew Marked button to confirm renewal. On the following screen, check the new due date to insure that the items were renewed. The home screen of your My Library account also allows you to view any fines you may have accrued. The fine information will display the following: Item Description, Item Status, Fine Amount, Date Checked Out, Date Due and Date Returned. If you have items checked out as well as fines, you will have to navigate the tabs on the left hand side of the page to view each.